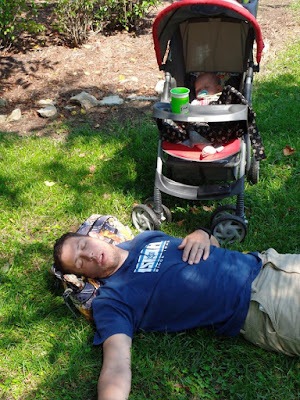 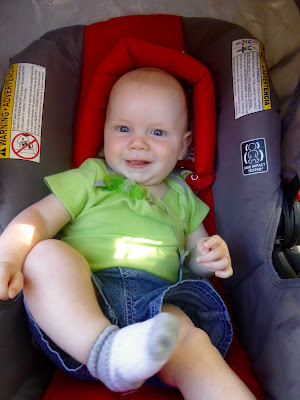 I know this post is about a month late, but August was super busy going on vacation, recovering from vacation (ha! 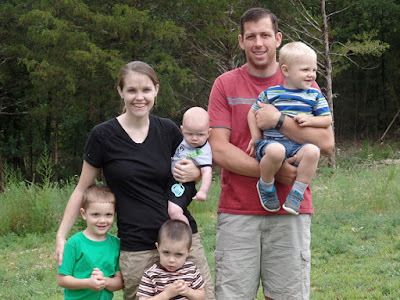 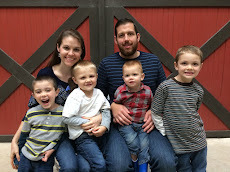 ), catching up on Plexus business-related activities, planning our homeschool year, organizing school materials, and keep up with normal life! 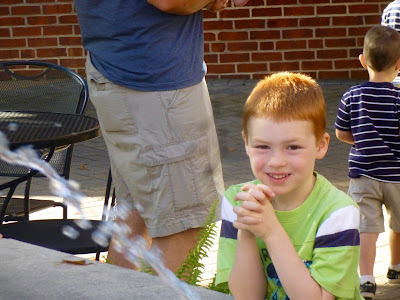 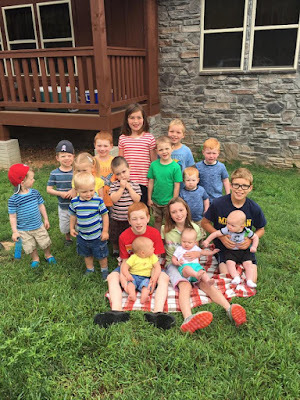 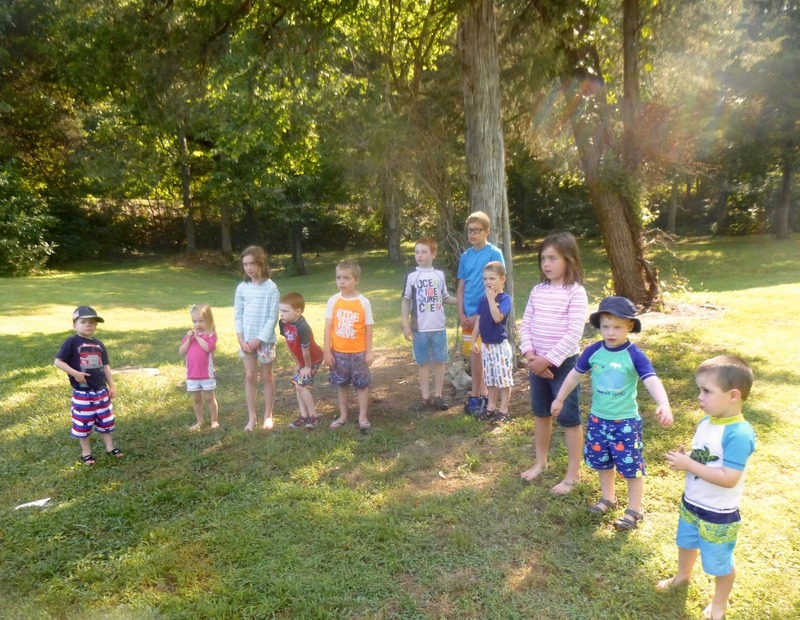 Every other summer, we get together with Nathan’s parents, siblings, and their children for a fun week together. The location changes each time. 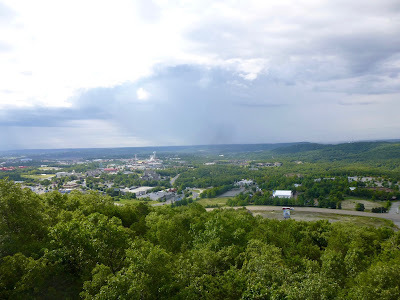 This year, it was in Branson, Missouri. 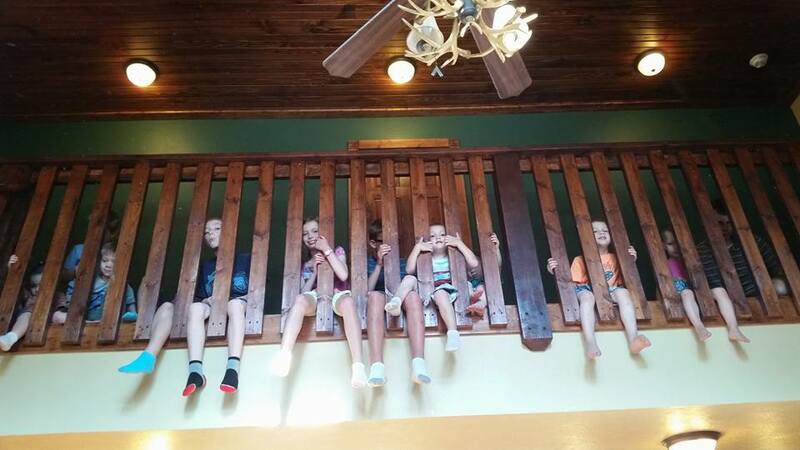 All the grandkids picked the “balcony seating” while Grandma and Grandpa led us in some songs and a devotional thought for the day. 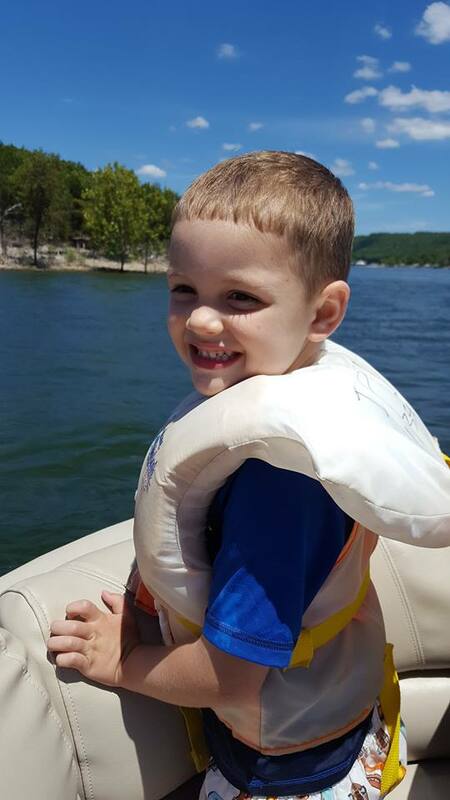 Isaac enjoyed going with Daddy on a special boating excursion on Table Rock Lake! 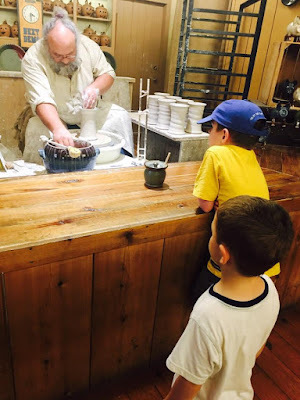 Visiting some shops and a bakery in the heart of Branson. 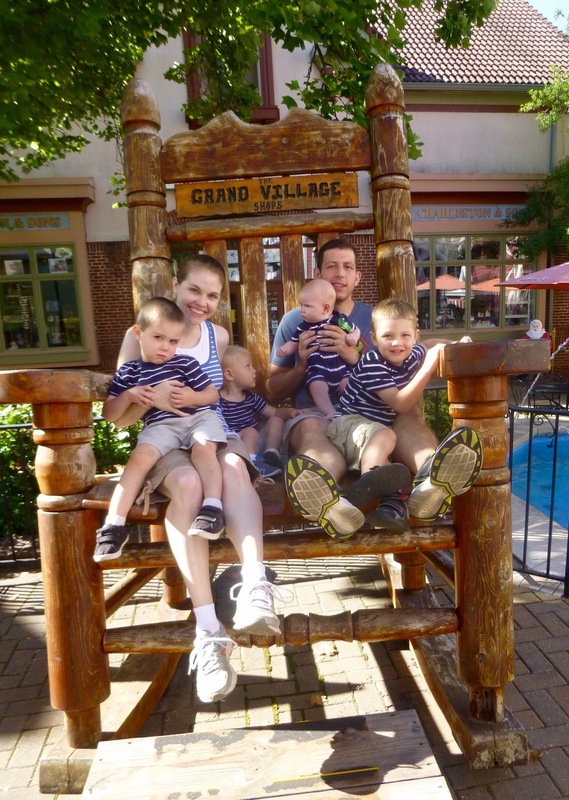 Of course we had to get a family picture on the biggest rocking chair I’ve ever seen! 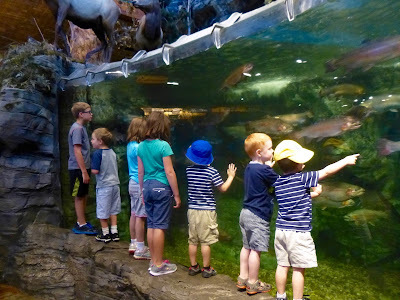 Checking out the fish at Bass Pro Shop. 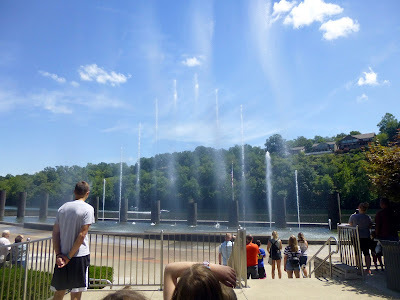 Watching the musical fountains at Branson Landon after indulging in some local fudge. 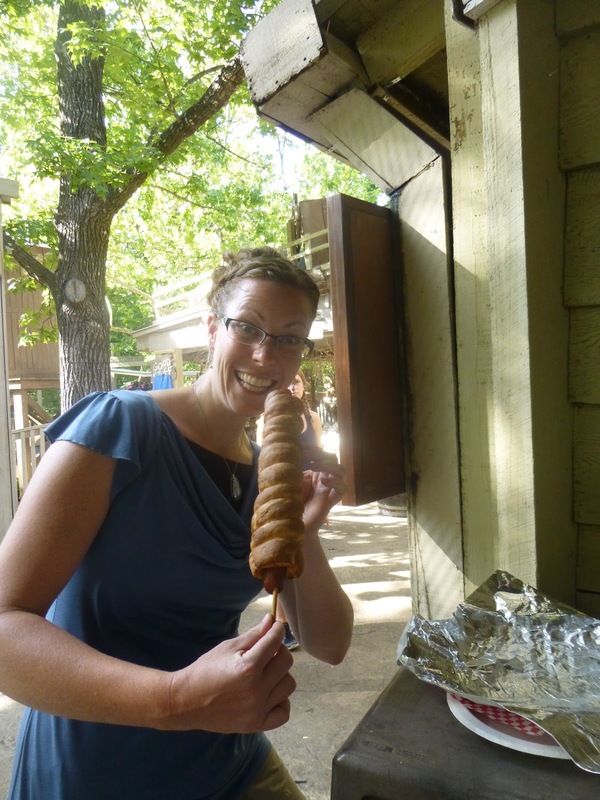 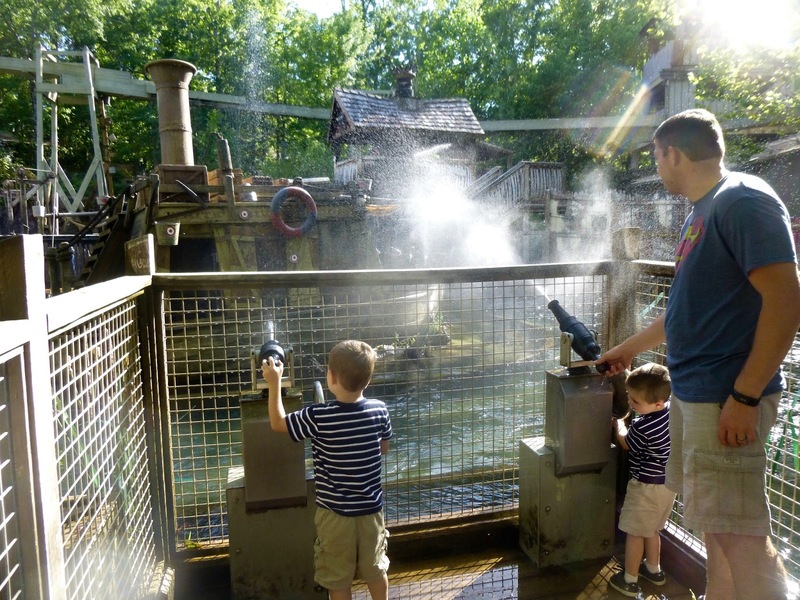 First half day at Silver Dollar City theme park. The tour of the beautiful Marvel cave made this guy hungry! 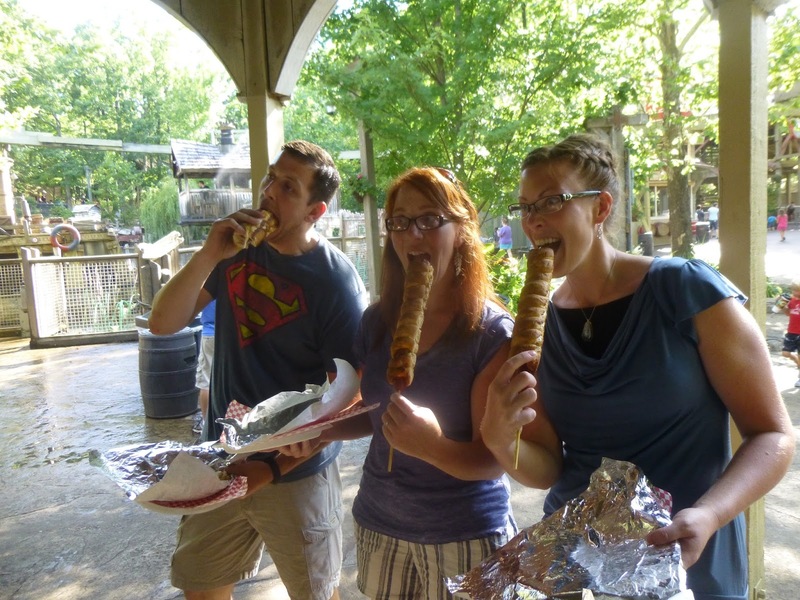 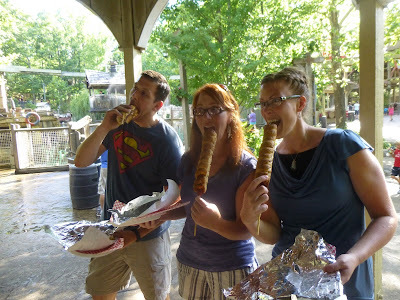 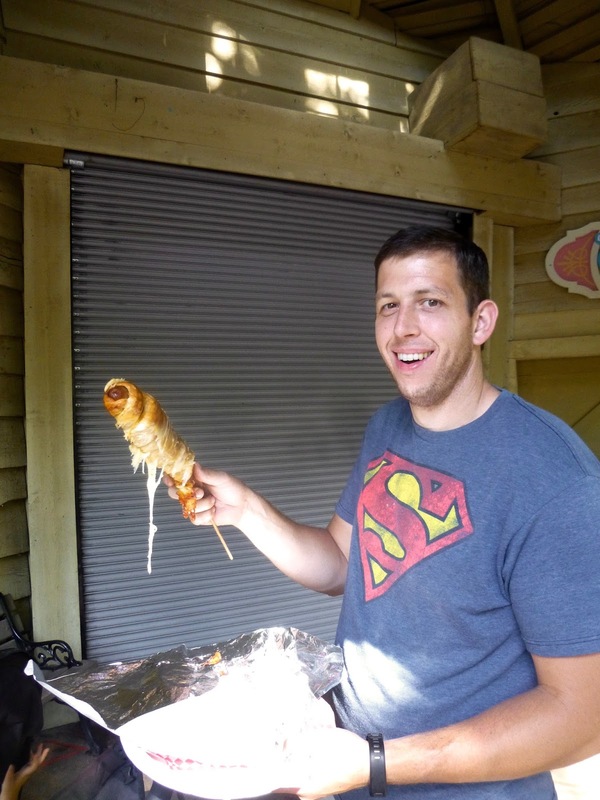 It’s a trio of hungry siblings enjoying their pretzel hot dogs and brats on a stick! Shooting water cannons at passing ships. 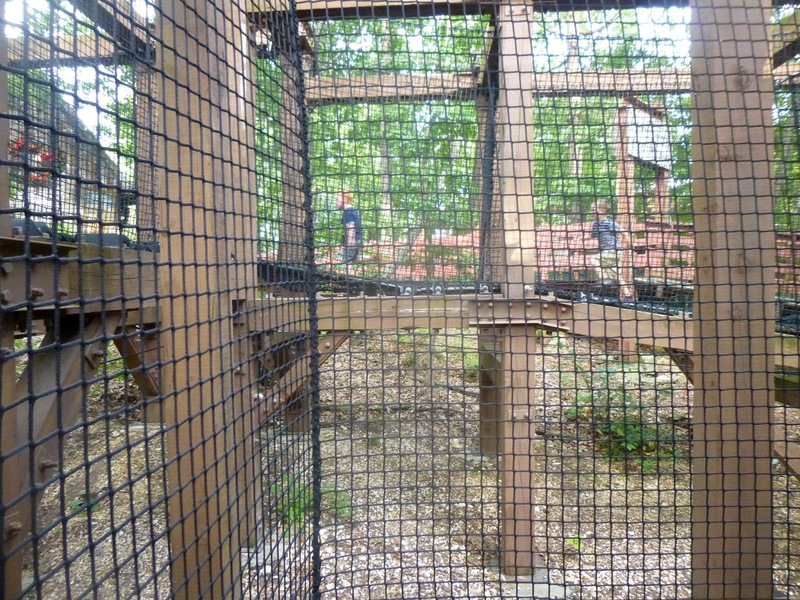 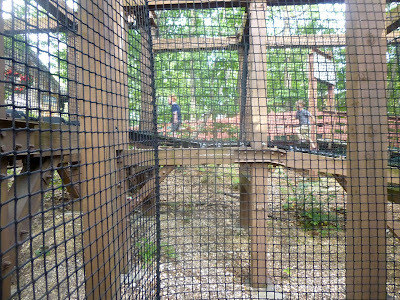 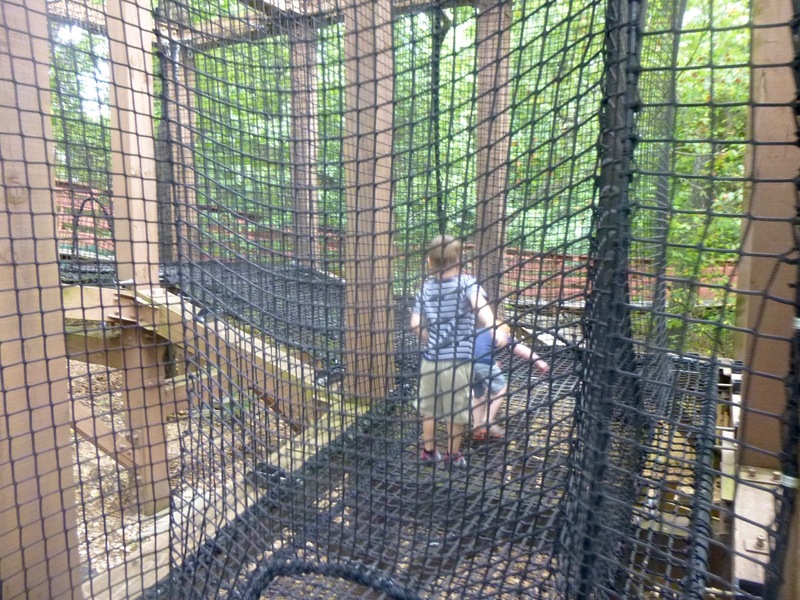 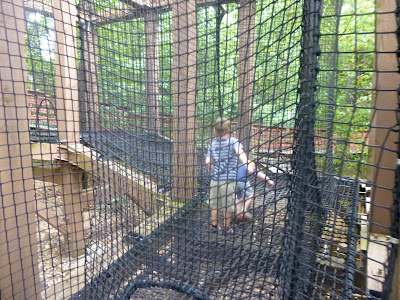 The children LOVED playing at the “tree house” which had this fun net maze behind it! 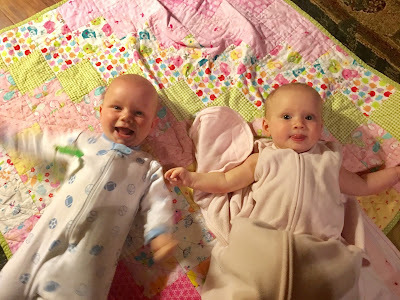 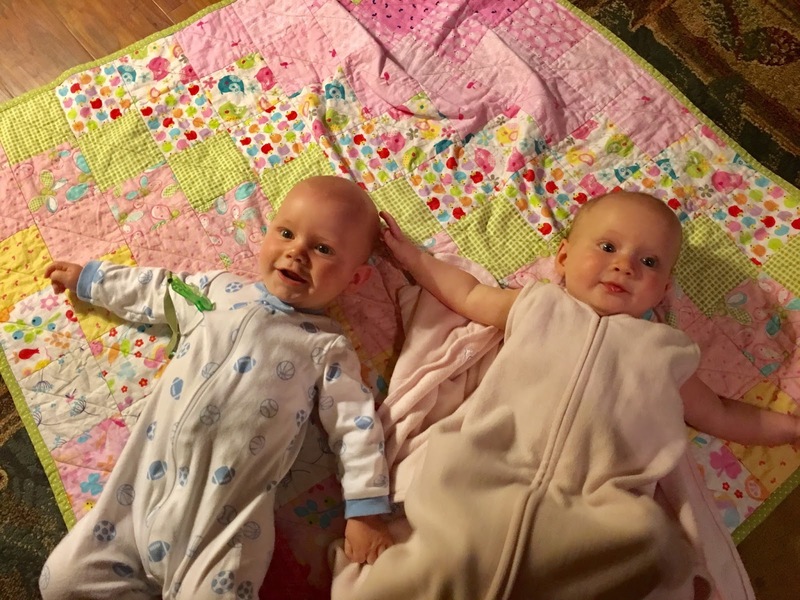 These two cousins had a blast together! Day Two at Silver Dollar City - getting ready to ride a moving chair lift. 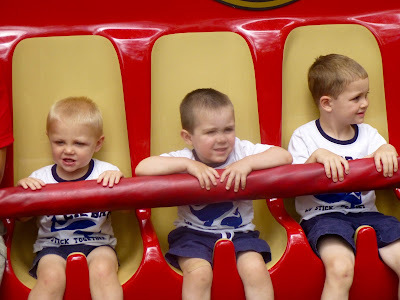 Riding the hot air balloon in kiddie land. 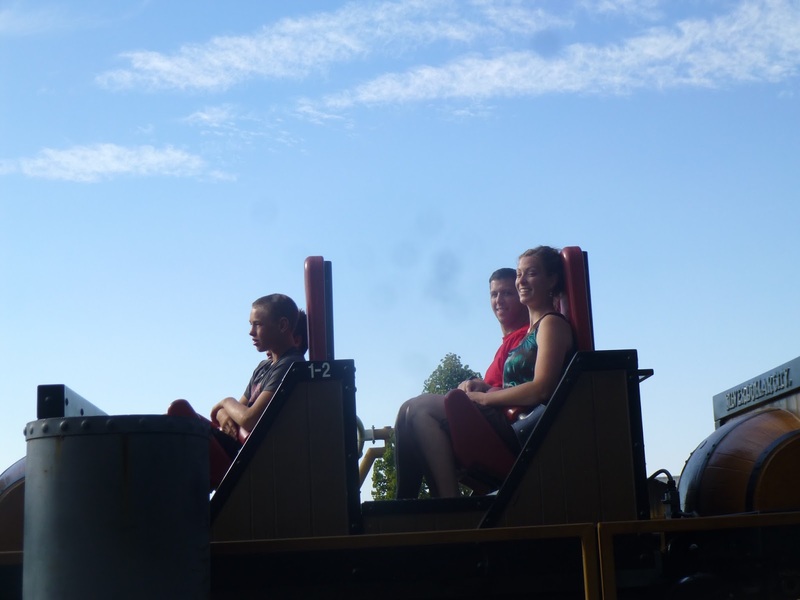 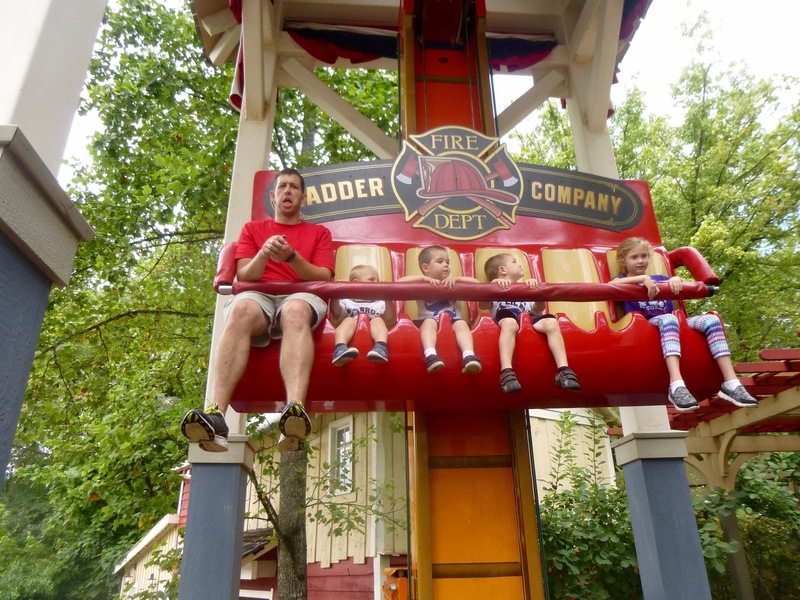 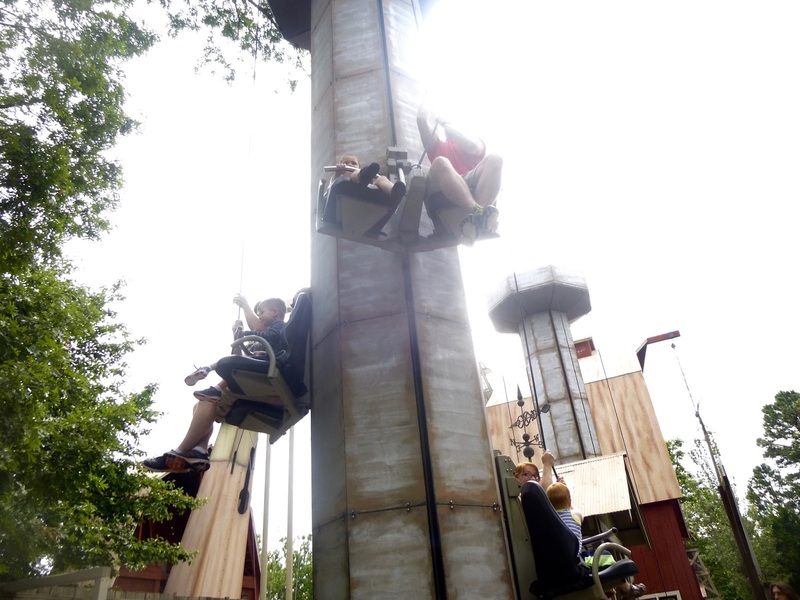 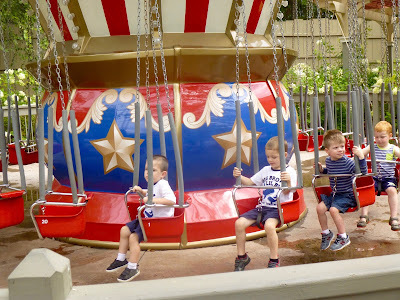 This ride was one the children did all by themselves! They loved it! 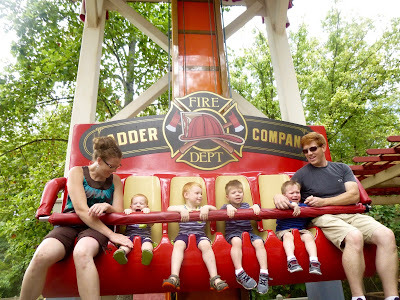 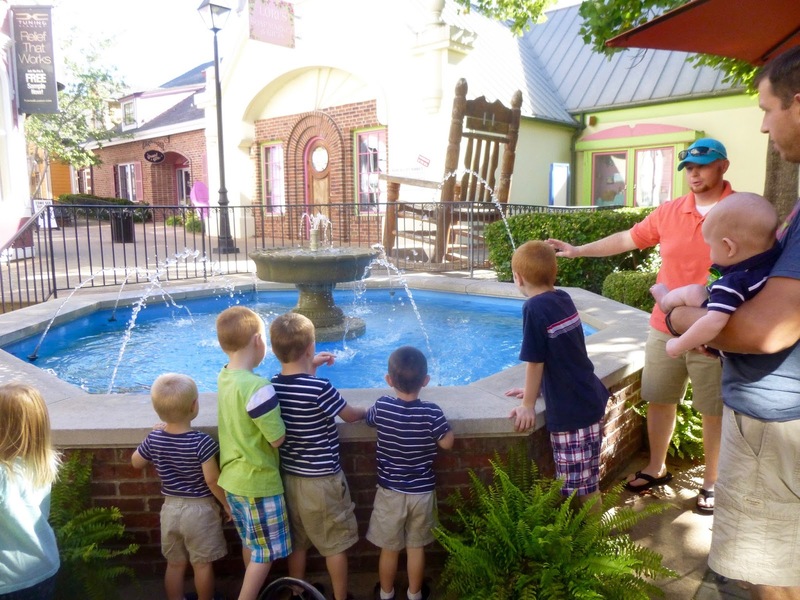 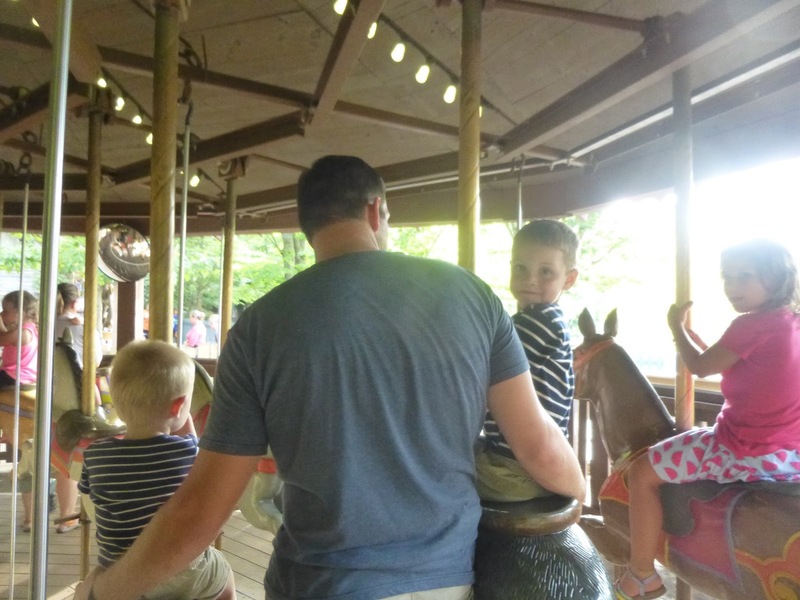 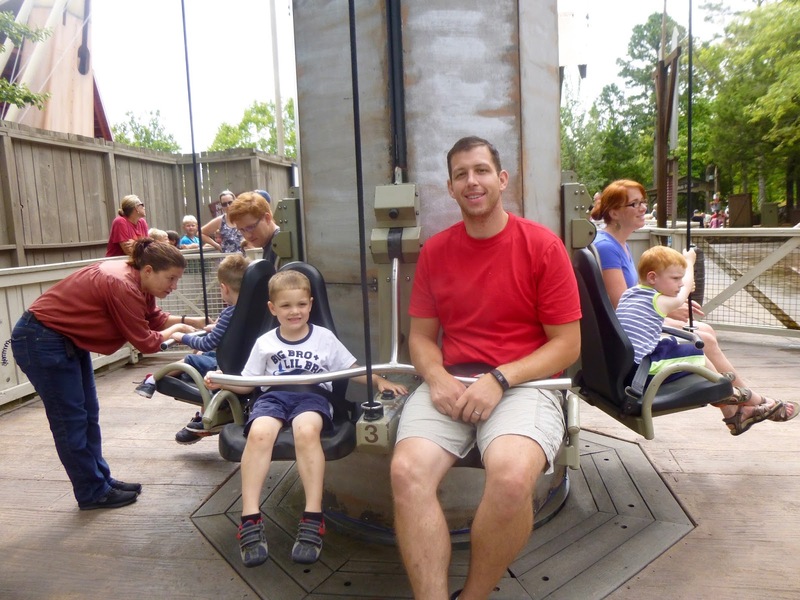 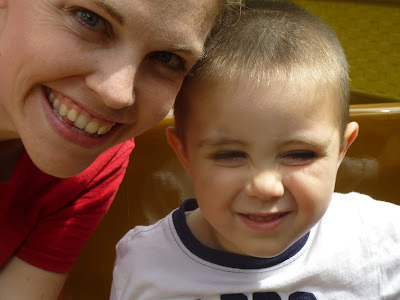 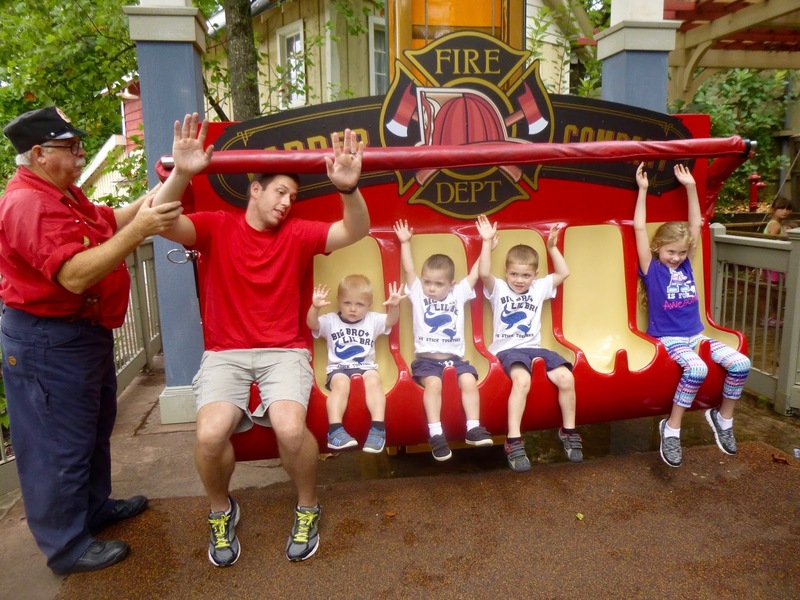 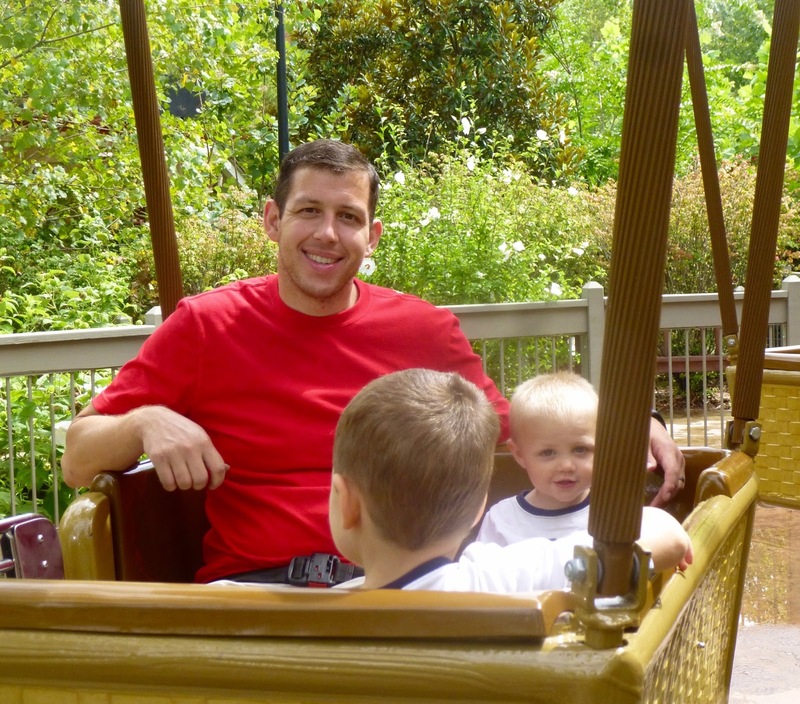 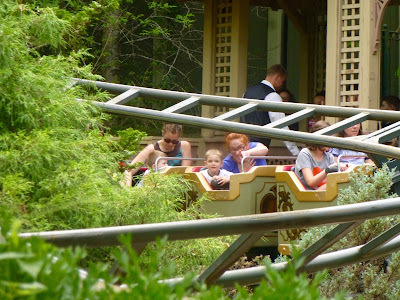 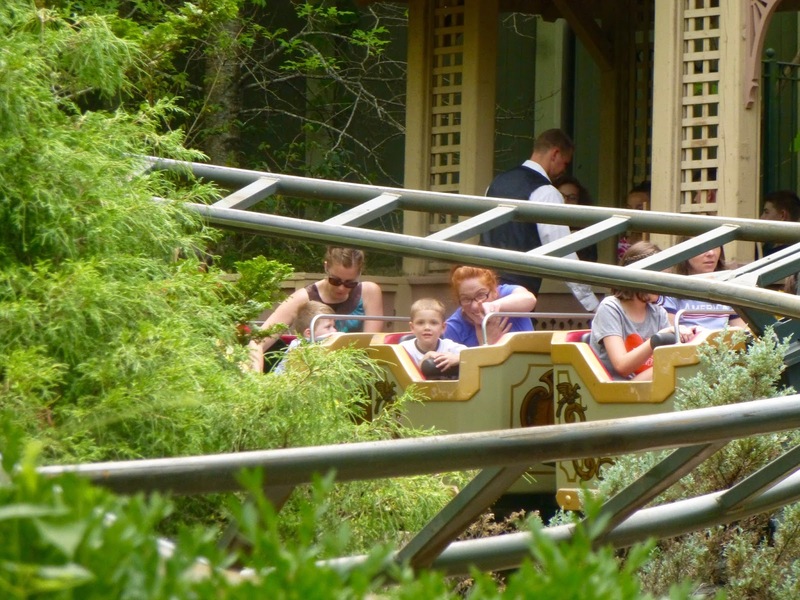 Cousin Luke wasn’t too thrilled about this ride, but little Hudson was thoroughly enjoying it! 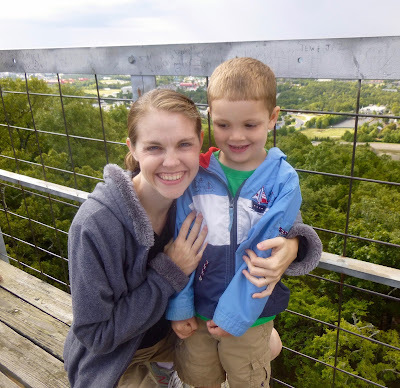 My sidekick in the spectator’s section. Time to ride the big guns! Isaac got to watch a potter at work. 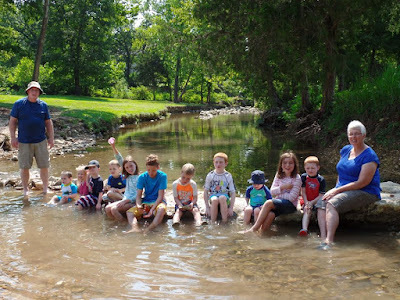 ...and time in the creek! 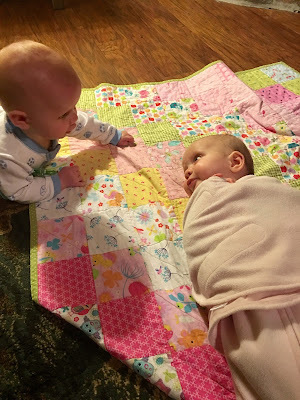 Jane and Silas getting acquainted. 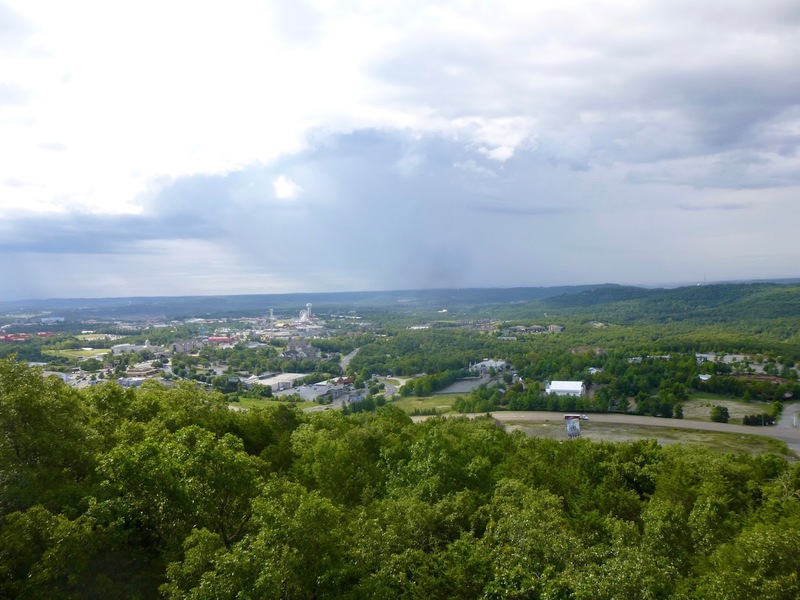 A view of Branson from the lookout tower on our hike one morning. 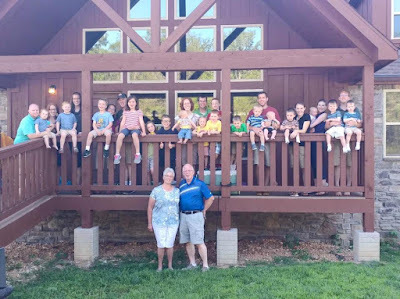 Yes, it was a full house! 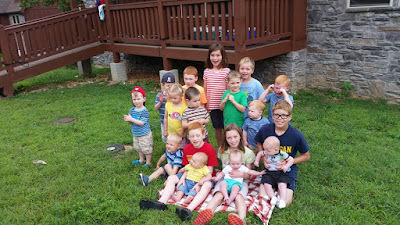 It is such a blessing to be part of this clan who love God and love each other! We always have a wonderful time together. 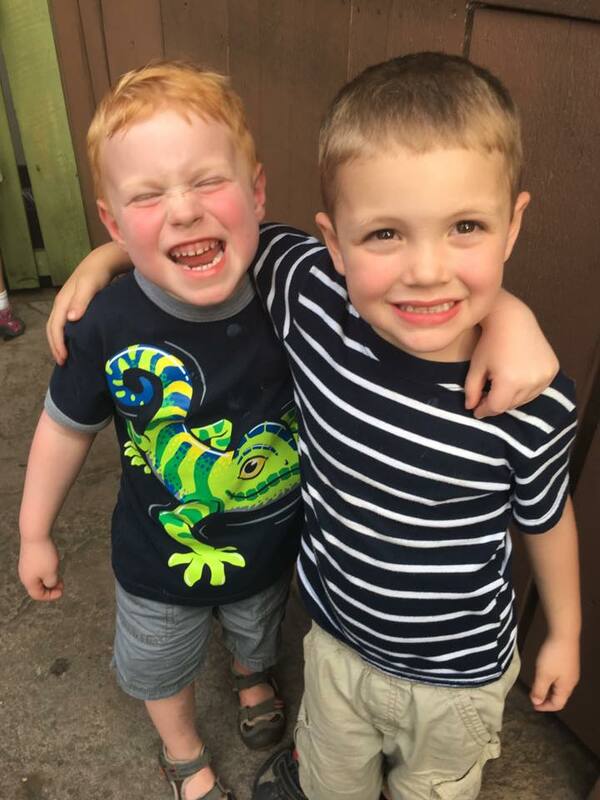 Until next time...!